New event pays homage to WOW's infamous Corrupted Blood incident. A new patch has just gone live in Hearthstone and introduces the 'Hakkar' card back to the game. This intriguing new cosmetic card back is currently only available to a handful of players at launch, but can be earned by playing a game against one of those people. Once you've done so - and you'll need to play a full game to earn it - you'll likewise become infected, and capable of passing the card back onto your future victims. You'll also unlock a new achievement for your account [UPDATE: The wording of the announcement suggested an achievement similar to starting quests. This seems to not be the case]. The contagious card back is available to unlock in all modes except Solo and Casual play. In other words, it can be gained through playing a match in Arena, Standard or Wild. This new special event pays tribute to a significant moment in World of Warcraft's history, one which came to be known as the Corrupted Blood incident. Perhaps the most famous example of a virtual pandemic, the corruption began on September 13th, 2005 when a player had finished tackling Hakkar the Soulflayer, the end-boss of the Zul'Gurub raid. One of Hakkar's key abilities was a contagious debuff spell called Corrupted Blood, which drained player health points, and could spread rapidly to nearby players. Upon leaving the raid the debuff was coded to disappear from affected players in the raid, but - crucially - affected pets and minions could be dismissed and re-summoned at a later date with the infection still in place. This led to some players deliberately infecting lower level players, who succumbed to the disease rapidly. NPC characters - which couldn't be killed by the disease but could spread it - also served to perpetuate the infection. The end result was cities and towns full of corpses, and a playerbase in virtual panic. A number of attempts were made by Blizzard to contain the infection, but it wouldn't be eradicated entirely until several weeks later with a patch that made player minions immune to the debuff during the raid. 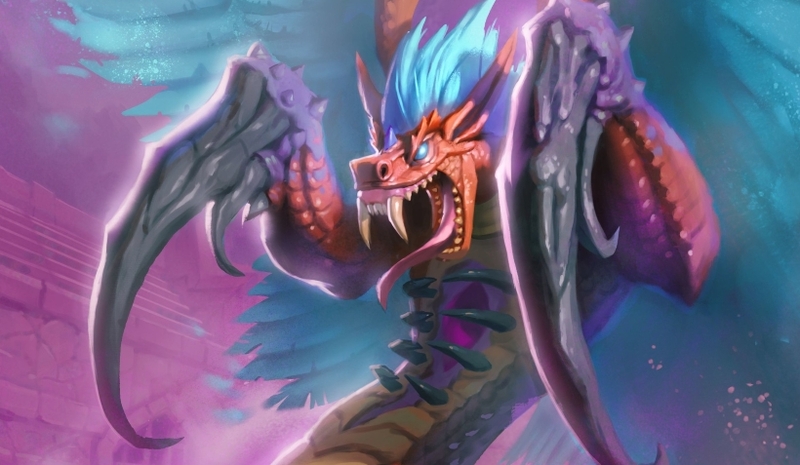 An end-date for Hearthstone's take on the notorious event has not yet been announced, but if you log on now you can start chasing down the card back. Make sure you have it equipped in your collection if you want to perpetuate the infection yourself!